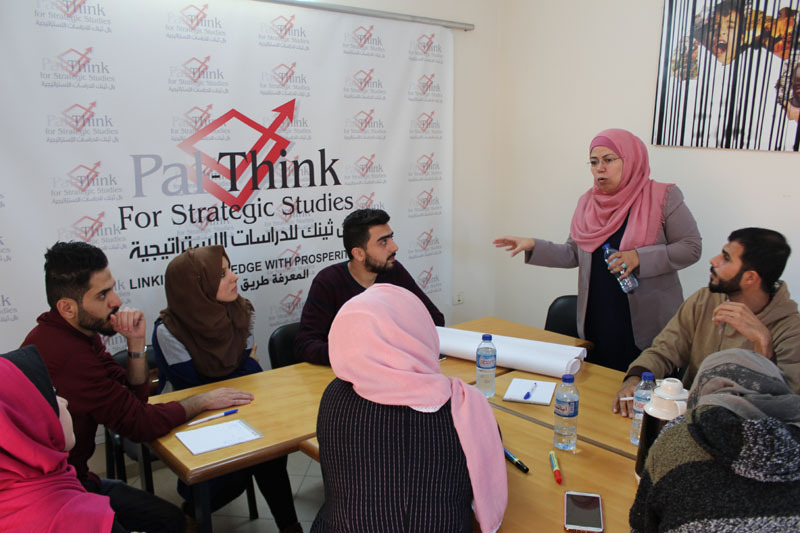 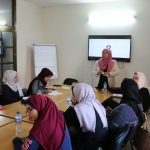 Pal-Think for Strategic Studies has concluded a training entitled “How to start your own business “for 20 university student and graduates from the Gaza Strip. 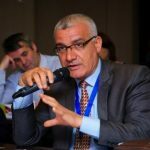 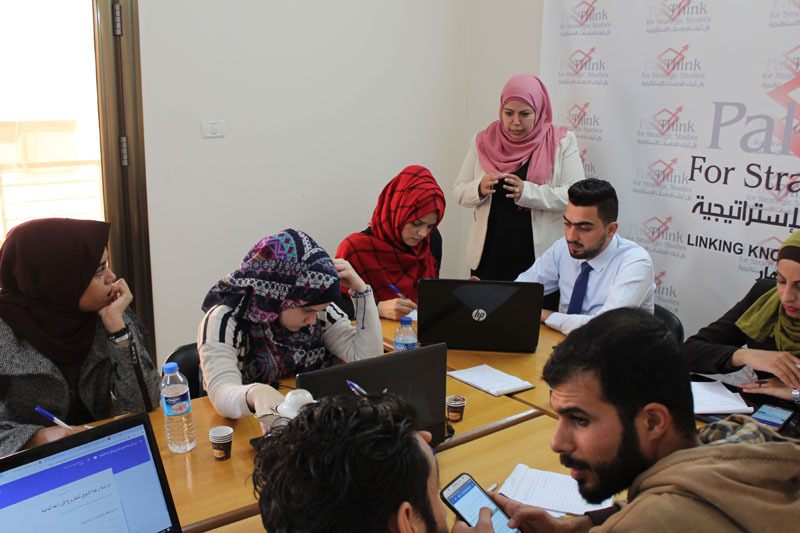 The training was implemented within the framework “Promoting Tolerance and Entrepreneurship”, a project which Pal-Think has launched in cooperation with Atlas Network, a non-profit organization based on the United States. 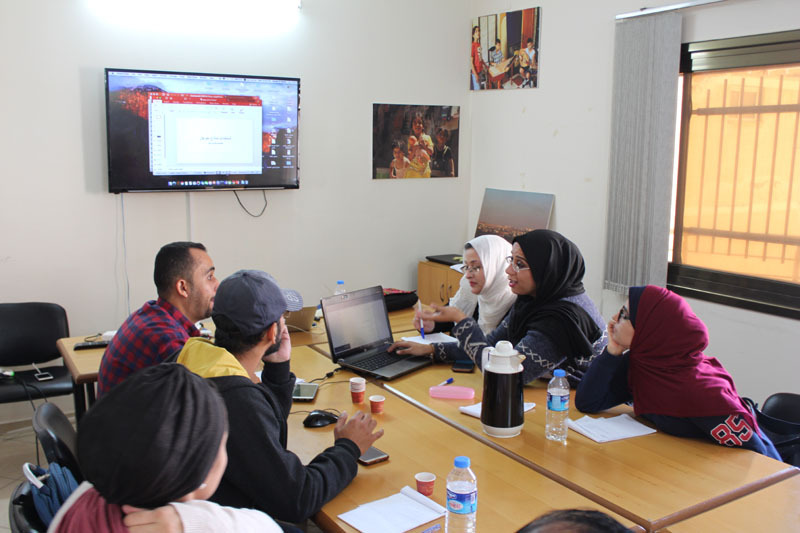 This project aims at promoting the culture of tolerance and entrepreneurship among the youth in Gaza. 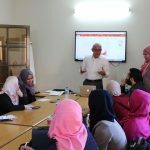 The Director of Pal-Think welcomed the attendees and introduced them to the organization, where he noted that Pal-Think is a non-profit organization aiming at improving the life of the Palestinian, and seeks to promote peace, freedom and prosperity through debate on issues within the Palestinians society. 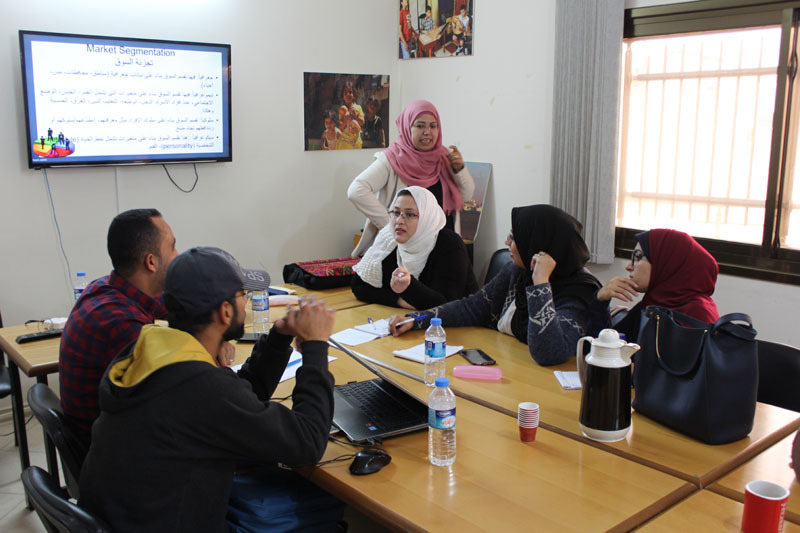 The training lasted for three days, and delivered by trainer Ms. Samah Al Safadi, who addressed many subjects related to management, production, marketing and financing fields, such as the concepts of entrepreneurship, project and pilot project, in addition to how to start your own business, how to come up with the project idea and how to be an entrepreneur. 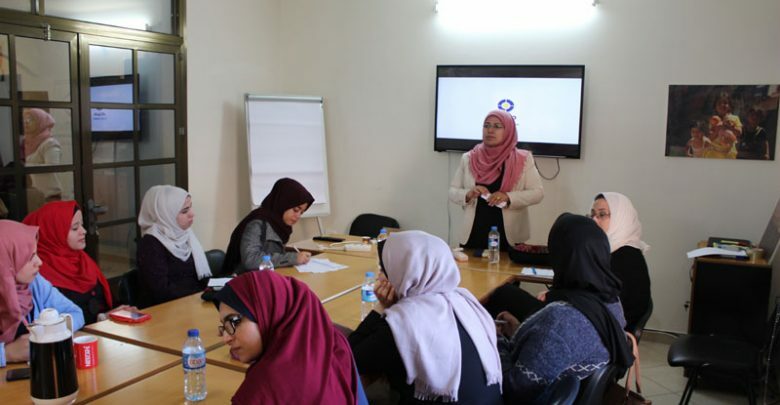 She also introduced trainers with the meaning of business model, business plan, the difference between them, the nine components of business model, how to calculate the costs of any project, the difference between the project assets and operating cost, how to evaluate the project financially, the concept of marketing mix, competitive advantage in addition to SWOT analysis. 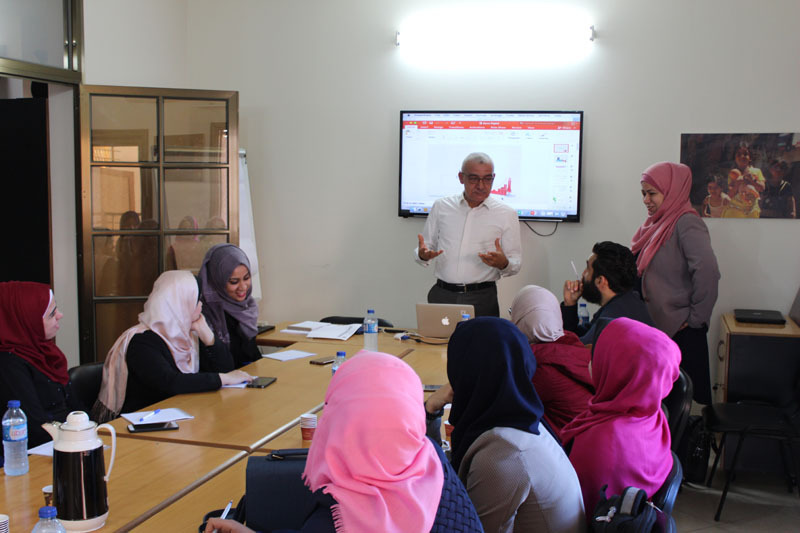 During training participants were acquainted with examples of successful entrepreneurs worldwide, who were very successful and refused to give up for obstacles and failure, such as Walt Disney, Dave Addison, Steve Jobs and Larry Page. 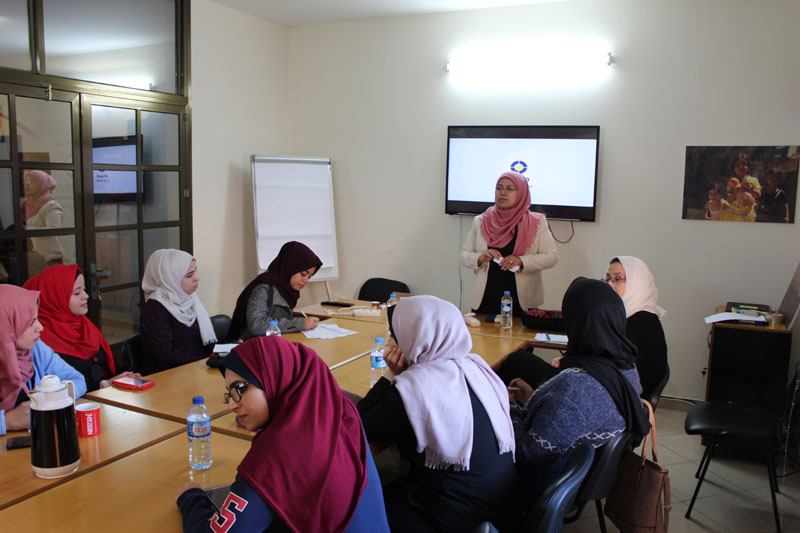 Ms. Samah stressed that the common factor between these successful entrepreneurs is that failure made them stronger and more determent to reach their goal. 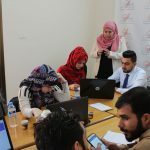 She also added that despite the hard conditions the Palestinians face in Gaza, there were a lot of successful honoring young entrepreneurs, who proved that circumstances can’t stand in the face of success, such as many of projects and small businesses that were recently established in Gaza and founded by a group of young entrepreneurs who have reached their goal. 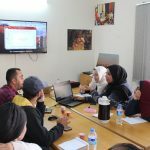 At the end, participants expressed their appreciation for the training, and how beneficial to them to learn all these skills and concepts required in market labor, since most of them are studying subjects far away from business. 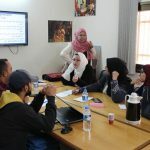 Given the current economic situation in Gaza, they believe starting their own business might be the way to defeat unemployment.